pp. 314 B&W photographic illustration. Following Findlay’s “Working and Management of an English Railway” there followed several books in the late 1890s and early 1900s, adopting a similar theme, but looking at the railways of England as a whole. At the time, the railways were regarded with almost the same veneration as the Fleet and the Army and the books were quite expensively produced, in much the same style as those celebrating those other two institutions of Empire. 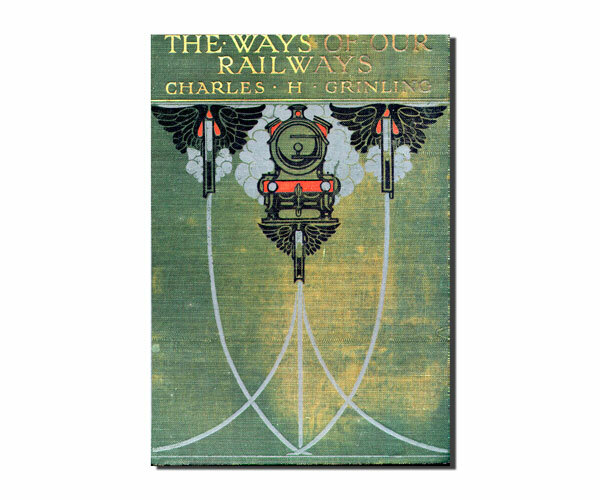 The railway books fell into two basic types; those written by professional railwaymen which were generally authoritative and detailed, and those written by general journalists and authors, which tended to be more superficial, quite cheaply produced, but with colorful covers, intended for the juvenile and school prize market. These were often more easily readable than the offerings of the professional railwaymen, few of whom had a natural talent for wielding the pen. Charles Herbert Grinling came from a railway family, being a son of William Grinling Chief Accountant, Great Northern Railway, and a brother of W.J. Grinling, Goods Manager, then GNR Chief Traffic Manager. 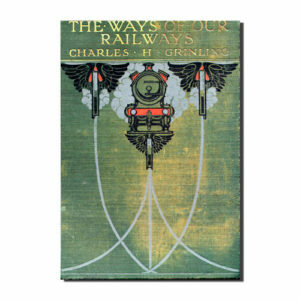 Charles himself served on the GNR FROM 1887-92, when he left to become an author and journalist; specializing in railways and kindred subjects. He is best remembered for “The History of rhe Great Northern Railway 1845-1895”. He was appointed editor, News of Week, 1897–98; Transport, 1898–1900 then joined staff ofRailway News. It is an interesting feature of “The Ways…” that it is a collaborative effort between officials of two railways who were keen, and at times bitter rivals. Carl Grasemann, Outdoor Goods Manager (Southern Division) LNWR, worked with the younger brother of the then GNR Goods Manager, and was probably instrumental in securing the cooperation of C.J. Bowen Cooke, Locomotive Running Supt. LNWR. In passing, it is worth mentioning that Carl Grasemann was the father of Cuthbert Grasemann, Advertising Manager of the Southern Railway from the 1920s to the 1940s, and himself the credited author of at least two books. “The Ways…” is not only a good read, but contains hundreds of photographs, many of unusual subjects, like the bathing pool at the GNR Kings Cross horse hospital.